Mons lies in the very east of Belgium and is selected to be a European capital of culture in 2015, so you know that there is a very vibrant arts and music scene in the city. Aside from all the culture, Mons is known for its great food- manifested in top quality restaurants and cafes throughout the city. Also Belgium is known for its exceptional brewing heritage and as such there are hundreds of pubs and bars which offer amazing beer at low prices. For these reasons alone it is easy to see why so many thousands of Britons are, every year, making their big moves over to Europe and Belgium in particular. With the movement of goods and peoples within Europe now largely derestricted, it is easier than ever to make a new life in the countries of our European neighbours. Moving Service have years of experience in helping people move abroad in general and to Belgium specifically. We can assure you a top quality service at a price that will remain low. If you would like to see what we can do to help you in your move to Mons then call us on 020 8746 4402 for a free quotation. We are confident that our prices will not be beaten and our services are the best around- from the large to the small- we can help. Make your international home removal easy with our man and van service. This service is specially designed to meet the needs of flat owners or those who simply do not have that much they wish to relocate to Belgium. A man with a van is an extremely cost effective way of making your international move easy. Do not add to your growing to do list when it comes to moving internationally. We know that our clients are busy people- after all, who isn’t- and do not want the stress of having to pack up all of their belongings, organise transportation and unpack all of their belongings on top of everything else they have to do. Our home removals specialists are highly trained and skilled so that they can take all of the legwork out of your move. They know how to treat your fragile items so that they will not break in transit, which is a huge concern of many of our clients. Not many international relocations companies give you the option of when you would like to make your move but we do. We know from years of experience that our clients need a service that is tailor made to their specifications. Other firms can also charge you the earth for a specialised international removals service but we are so much different. Our prices will always remain some of the best around and we know that when coupled with our five star services that you will be as impressed as hundreds of our other clients have been. Now that you have read what Moving Service are able to do for you in terms of your relocation from the London to Mons, why hesitate any longer. We are already waiting to take your call and provide you both with a free quotation and a service that we are confident you will want to recommend to all of your friends. We can be contacted by phone on 020 8746 4402 and would love to speak to you about your unique international home removal requirements. We are sure to be able to help. 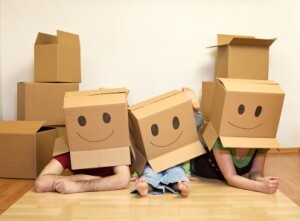 So don’t delay any longer and let us take all of the hard work and stress out of your home removal.